Those who are part of the sailing races are well aware of how unpredictable the races can be. Like the shifts in the tide and weather conditions positions can change and the fate of the sailors is sealed. This is well known by the champions the most, such as Giles Scott. 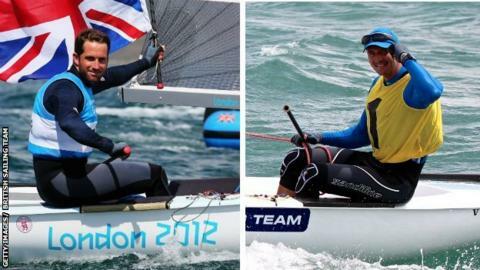 Scott might have already earned two medals in the Olympic games, but he ended up in the same Finn category, as did Sir Ben Ainslie which meant that he was made to watch the sailing races in the prior two Olympics from the shore. John Schulze’s Horizon won the thirty-second running of Vallarta Race, a 1000 nautical mile race course from San Diego, United States to Puerto Vallarta in Mexico. Ending yesterday, their lapsed time of four days, thirteen hours, fifty-two minutes, nineteen seconds earned them Division Three as well as the overall title. Second overall was Division Two winner Roy Disney’s Pyewacket (Andrews 70) along with Dave MacEwan’s Lucky Duck (SC52) ending 2nd in Division Three and 3rd Overall. This year’s edition of Vallarta Race was a story of two sea races. As sailors went to the Marina Vallarta dock, their tales were told with similar stress on the contrast between the 2 halves. A break away from San Diego to Cabo like no other, and then trying to avoid the holes as well as minimize the light air which most boats came across in the Sea of Cortez crossing. When this could be the almost-regular condition to be anticipated on any Vallarta Race, the extremes that were seen in the year 2016 were really unique. Boats such as Gordon Leon’s Farr 40 Flyer reached twenty-two knots and were rolling and rocking on the first half, while the trimaran Mighty Merloe fell victim to the breeze shutdown on the 2nd half approach to the end, floating along at 2 to 3 knots at times. University sailing clubs from throughout the United Kingdom are participating in the very first University Sailing Sustainability Challenge, established by The Green Blue – a joint environment program created by Royal Yachting Association and British Marine. This challenge would now see the university clubs competing to undertake a series of sustainable actions across the academic year in order to get prizes and show to the rest of the boating community how manageable sustainable boating could be.